Cima Paper S.p.A. is a commercial distribution and service company in the paper and cardboard sector, founded by the Cima family from a long tradition in the sector. In guaranteeing a full and targeted offer on a wide range of paper industry products, Cima Paper S.p.A. aims to consolidate itself on the market through a policy of continuous, substantial investments into improving its services. Supply products range from paper reels for the manufacturing of corrugated fibreboard to cardboard for the production of tubes, cores, rings and edge protectors. The company also distributes raw materials for paper mills, from the lowest to the finest qualities, guaranteeing continuity and reliability in relation to both the paper mills and to collection centres. 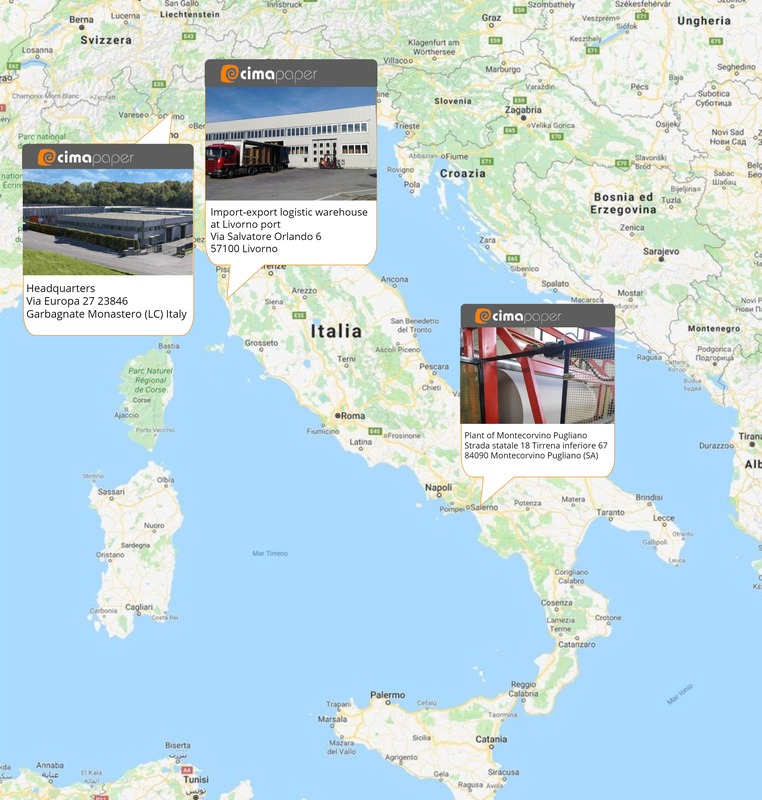 Cima Paper S.p.A. has large warehouses in Garbagnate Monastero and Livorno, Italy, strategic locations for import/export. The company also has a modern and efficient cutting centre, with 4 rewinding machines, a cutter and a corner trimmer.